After being shipped off to stay with her aunt and uncle in Nowheresville, Pennsylvania, city girl Effie Starr Zook stumbles upon a mystery that leads her to an old family feud in this “accessible and exciting” (School Library Journal, starred review). A rich girl from New York City, Effie Starr Zook isn’t afraid of much. When her parents go on a dangerous round-the-world adventure in a solar airplane, she’s packed off to her aunt and uncle’s farm for the summer. Expecting boredom, she runs smack dab into a family secret. Why does the neighbor kid want to avoid her? What are her aunt and uncle so worried about? And what does “bad blood” mean, anyway? Effie’s got a brand-new bicycle, time on her hands, and an unlimited capacity for asking questions. With these, she sets out to uncover whatever it is the grownups are hiding. Along the way, she’ll contend with crackpot politics, serve coffee in a bookstore café, and learn more than she bargained for about her famous great-grandfather, the inventor of the barf bag. Fast-paced and funny, this is a story about having the courage to find out who you really are. 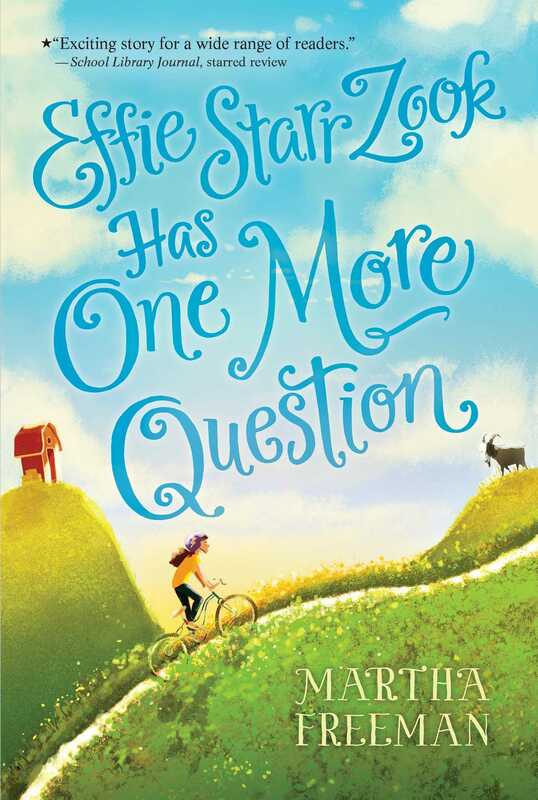 Look out, world—when Effie Starr Zook has questions, she won’t take no for an answer! Effie Starr Zook looked out the bedroom window, and what she saw made her heart go thud. There in the pen with Alfred the Goat stood a little boy. Alfred the Goat was big and black with a devilish beard, a devilish temperament, and devilish big horns, too. So far, busy at his hayrack, he hadn’t noticed he had company. When he did, there would be trouble. This happened on a Thursday afternoon in June. Effie was spending the summer with her aunt and uncle. She had been there only since Sunday, but already she knew all about Alfred the Goat. One time he had knocked Uncle Ted flat in a dispute over hay. Another time Aunt Clare had been cleaning his hooves when he twisted free, turned around, and butted her. Aunt Clare said the bruise lasted for weeks. She wouldn’t say where the bruise was. Effie’s bedroom window was in the back of her aunt and uncle’s pretty yellow farmhouse. The window overlooked the goat pen, the brick-red barn, a grassy field, and the woods beyond. I bet that little boy will be fine, she thought. I bet I can just go back to reading my book. Anyway, it’s not my fault if little kids go climbing into pens with goats. Little kids are not my responsibility. This last sentence was barely formed when Alfred the Goat swung his head around, noticed the intruder, and raised his horns. Effie thought, This is not good. Then she closed her book and ran downstairs. Effie Starr Zook had lived her whole life in New York City. She knew in what year the French gave Lady Liberty to America. She knew a smoothie from a lassi, a cemita from a torta, and a latte from a cappuccino. She knew where to catch the jitney for the Hamptons. She did not know much about goats. As she fiddled with the latch on the gate to Alfred’s pen, she reassured herself: Things usually turn out fine. Soon I’ll be back to my book. Effie looked and saw a second boy across the field, a boy about her own age. He was looking at the little one, who now stood in the opposite corner of the pen. He didn’t seem to see Effie at all. Maybe that’s the big brother, Effie thought, and the big brother has dared the little one to climb in with Alfred the Goat and do something. But what? This question was soon answered. The little boy took three giant steps, reached forward, tugged the goat’s pointy black beard, then turned and ran like crazy. Alfred was surprised but hesitated only a second before putting his head down to charge. He moved fast, but Effie moved faster. She leaped and landed squarely between the advancing goat and the retreating boy. Elsewhere at that same moment other things were happening. In the nearby town of Penn Creek, the owner of the bookstore took a sip of coffee and started a new chapter of Anna Karenina. In the state capital eighty miles away, a newspaper reporter tapped her pencil, waiting for her editor to say she could have extra time to work on a big story. Across two oceans, Effie Starr Zook’s pioneering aviator parents haggled with a taxi driver over the fare to a remote desert airfield. And the Earth spun and the universe expanded, and Effie Zook braced herself. She had never been butted by a goat before. She had no idea what it would be like. Sent by her loving but self-absorbed parents to stay with her aunt and uncle on their farm in a small Pennsylvania town, eleven-year old Effie, a wealthy, self-reliant New York City girl, adapts to her new surroundings with a growing purpose and resourcefulness. The farm is the family homestead, where her great-grandfather invented the barf bag and made the fortune that allows Effie’s parents to follow their dream of flying a solar airplane around the world. While her parents are gallivanting around the world, Effie is busy exploring the town on her new bike—making unexpected friendships, asking questions, unearthing untold stories, and learning the answers to a mystery within her own family. She knows the grown-ups are withholding something from her. Why does Moriah, the girl from the neighboring farm, avoid her? What is the “bad blood” between their families? What do the hushed conversations about legal matters mean? Why does the first Effie (the great-grandmother that Effie is named after) look sad in the photo taken of her? What Effie had feared would be a boring summer turns out to be anything but as she follows clues in search of the truth—about her family, her colorful new friends, and even about herself. And yes, Effie always has one more question! 1. “Effie had only visited her aunt and uncle’s farm for a couple of days at a time. She’d never met anyone else who lived there.” With no friends or farm chores to occupy her time, Effie was faced with the prospect of a long and boring summer. What would you have done in Effie’s situation? What do you do when you’re bored? 2. Life in Penn Creek was very different than in Brooklyn. What were some of the differences? What appeals to you most and least about each place? 3. Effie’s mother describes Effie as self-sufficient. How else would you describe her? Make a list of qualities that best describe Effie. 4. There are a lot of colorful characters in the book: Moriah, E. J., Mr. Yoder, Mr. Odbody, Mrs. McMinty, Terry the waitress, Tapper Sprocket, and Effie’s family members (alive and dead). Who is your favorite character and why? 5. Mr. Odbody says that reading is dangerous. What does he mean by that? How do you feel about reading? 6. Reflecting on her relationship with Moriah, Effie concludes that “we probably couldn’t have been friends anyway. We probably are much too different. What would we have talked about?” Is it important for friends to be like each other? Why do you think Effie has two such different friends as Moriah and Jasmine? 7. A precept is a cross between a belief and a rule. Mr. Yoder has many precepts. Make a list of them. Do you think his ideas make sense? Or is he a “crackpot”? Why or why not? 8. Make a list of some of the other characters’ precepts. Is there “room in this world for lots of kinds of precepts,” as Mr. Odbody says? What do you think? What does “agree to disagree” mean to you? 10. While Moriah defends her father’s precept that there are some things kids shouldn’t know, Effie believes that kids have a right to know things. “We deserve answers, just like anybody else.” What do you think? Do you agree with Effie? 11. When Uncle Ted talks about the “bad blood” between the Yoders and the Zooks, what does he mean? How does the bible story of Isaac and Ishmael relate to this book? How do you feel about Effie and her mother’s conversation? How are you different from your siblings or other family members? Do you think that is a good thing? What do you make of Effie’s realization? Where do you live? Describe your community, and what it’s like. 14. Many American families have family members that are of different or mixed races, nationalities, or religions. In the past, and even today, some people in their communities have a problem accepting them. How do you feel about this? How does this passage make you feel? What are some of the special qualities of your parent or guardian? 16. When Jasmine calls to find out about Effie’s mom after her plane goes down, she winds up making Effie feel even worse. “I don’t know what I’m supposed to say.” Have you ever been in a situation where you didn’t know what to say or how to help someone feel better? What would you want to say to Effie? 17. Great-grandfather Zook was considered a great man. What do you think? What do you think makes a person great? 18. What do you think of the way the Zooks, Yoders, and Odbodys shared the inheritance? Why? 19. Great-grandmother Effie’s inscription on the flyleaf of the book, said, “May you always be as brave as Pippi.” What does it mean to be brave? Do you think Effie was brave? If so, in what ways did she show her bravery? What other characters were brave? Have you ever been brave? What were some of the things Effie learned about herself and her family at the end of the summer? 1. Make a family tree of Effie’s family and then make a family tree for your own family. Educators, find a template for your students to use by searching “Family tree for kids” in your preferred search engine. 2. The dedication at the front of the book is “For reporters who, like Effie, ask questions in support of the truth.” Think like a reporter. Choose a family member, friend, teacher, or member of the community to interview. Make a list of questions to ask. Then write up what you learned about the person. 3. Find an old family photo. What can you learn from just looking at the picture? Do think it is happy, sad, or funny? Find a photo of your parents or grandparents from when they were young. Ask them about it. Write a story about their experience in the photo. 4. Ask your parents and grandparents for any artifacts—letters, journals, or keepsakes—they may have from when they were young, and to share with you about why they’re important to them. Then, share these family artifacts with your class. 5. A precept is a cross between a belief and a rule. Make a list of some of your favorite precepts. What are some of your family precepts? Make a list. You can also create an original precept of your own. Make a bulletin board or collage of precepts. 6. In the book we learn that Gus Zook didn’t invent the barf bag, Great-grandmother Effie did. In the Author’s Note, Martha Freeman explains that the inventor of the barf bag was actually Gilmore Schjeldahl. Do some research to learn more about Mr Schjeldahl, or think of another invention that we take for granted, and learn about its inventor. Share your findings with your class. 7. If you could invent something—real or imagined—what would it be? Write a description of your new invention. If you want, include a sketch. 8. Effie is a reader. Have you read any of the books she mentions? What are some of your favorite books? Write reviews for your three favorites or make a short video recommending your books. 9. Visit a museum. Make sure to pay special attention to the photographs and portraits. If there is a section that collects artifacts, objects, or fashions, explore that. Enjoy and be sure to ask questions! Guide written in 2016 by Judith Rovenger. She is on the adjunct faculty of Long Island University and has taught at Columbia, Wesleyan, and Rutgers Universities. Her area of specialty is in ethics and emotional intelligence in literature. 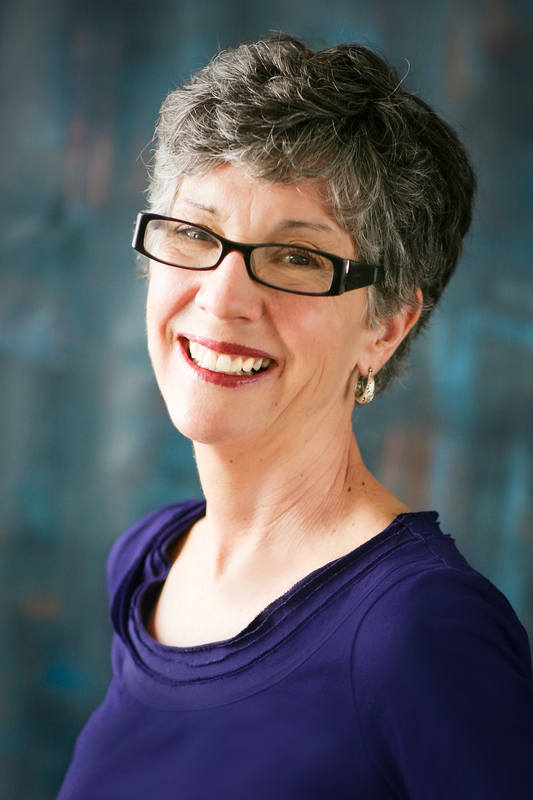 She is the former director of Youth Services at the Westchester Library System (NYS).